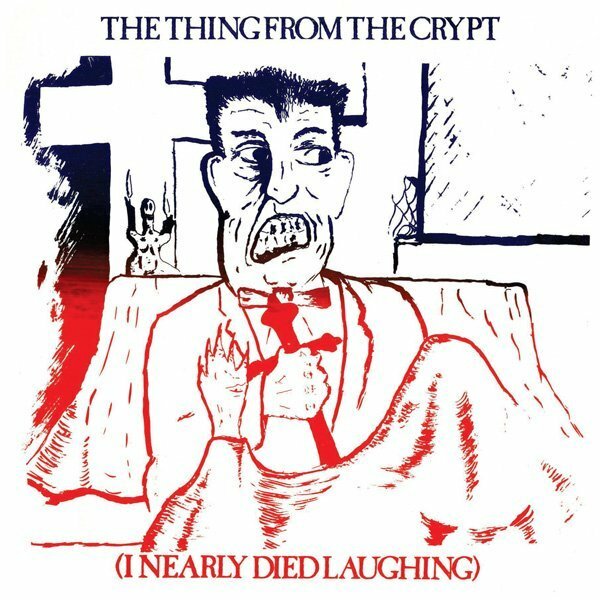 This compilation features 8 bands with two songs included by each group. EXHIBIT A were a quartet featuring Mat and Dan from Solid Space and Paul and Andrew from Twelve Cubic Feet. 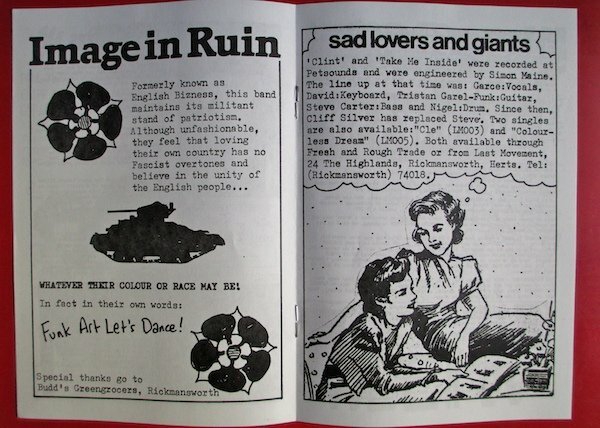 Legendary post-punk act SAD LOVERS & GIANTS make their first appearance here as a five-piece. MEX was the solo project of Paul Mex, the man responsible for this compilation, who went on to produce songs for WHAM and George Michael. 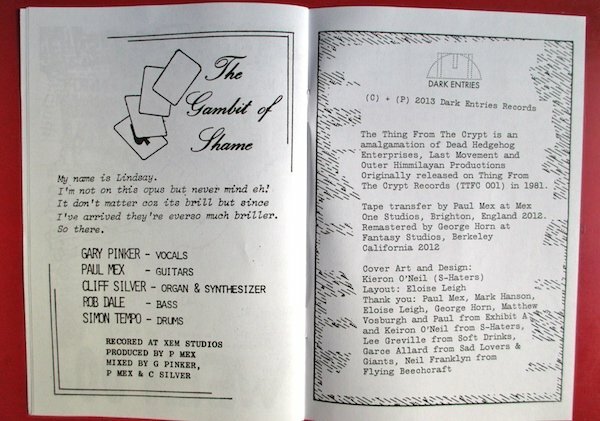 GAMBIT OF SHAME deliver driving carnival pop and would later work with ex-Soft Machine member, Robert Wyatt on their debut single. FLYING BEECHCRAFT serve a slice of wistful Flying Nun indie pop. 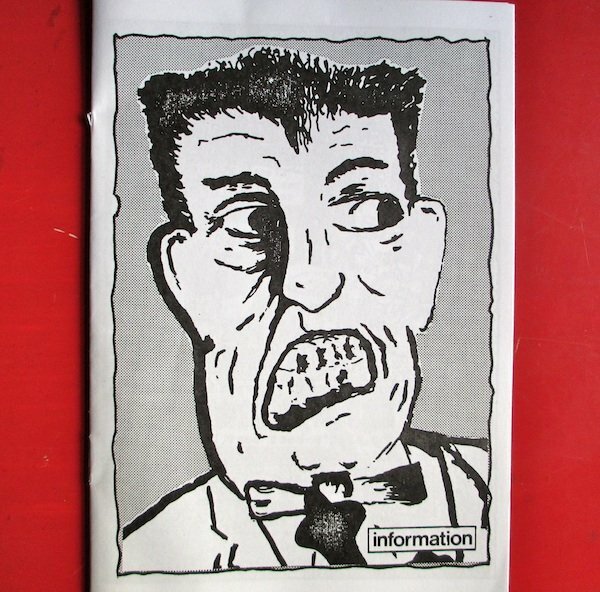 IMAGE IN RUIN bounce between off-kilter NY No-Wave skronk and angst. 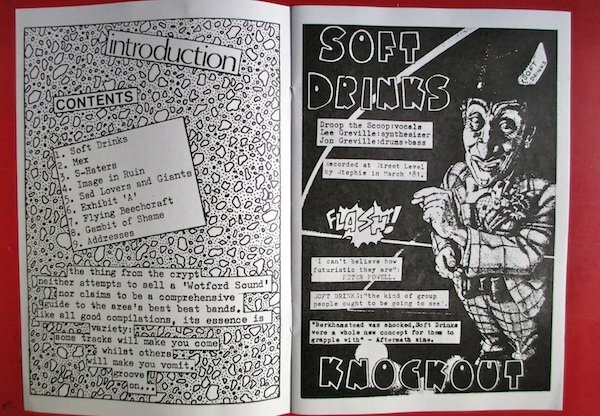 SOFT DRINKS were a short-lived synth-punk trio featuring the Jon Greville of Rudimentary Peni and Martin Drooper of The Magits who released a 3 song EP on Outer Himmylayan Productions. 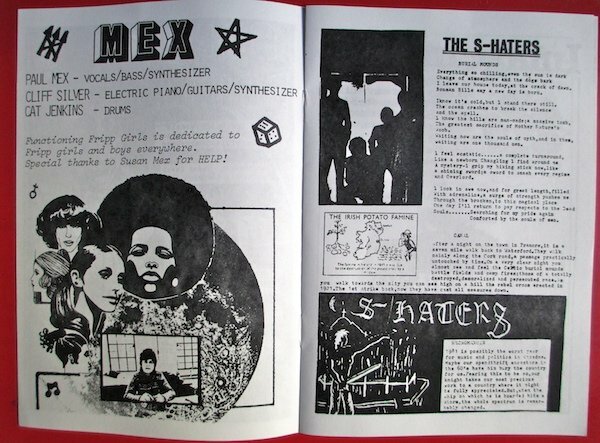 S-HATERS were a deathrock quartet also on the Outer Himmylayan roster who channeled the gothic punk of PIL's "Metal Box" and Joy Division. 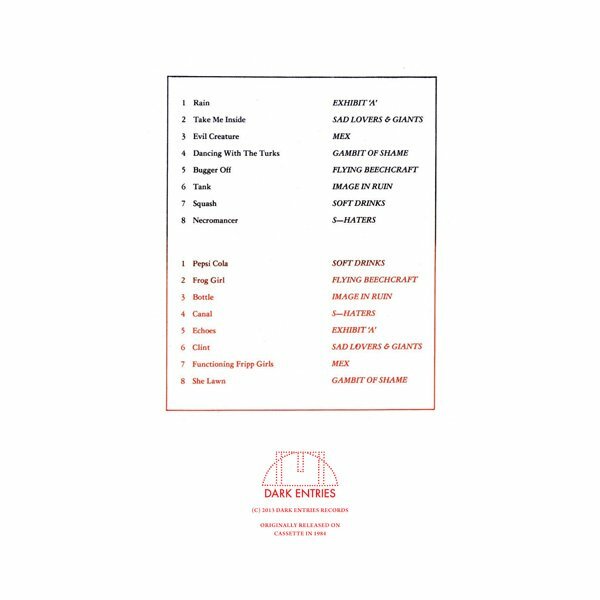 All songs have been transferred from the master tapes by Paul Mex and remastered for vinyl by George Horn at Fantasy Studios in Berkeley. The vinyl comes housed in a full color printed jacket using the original silk screened artwork. 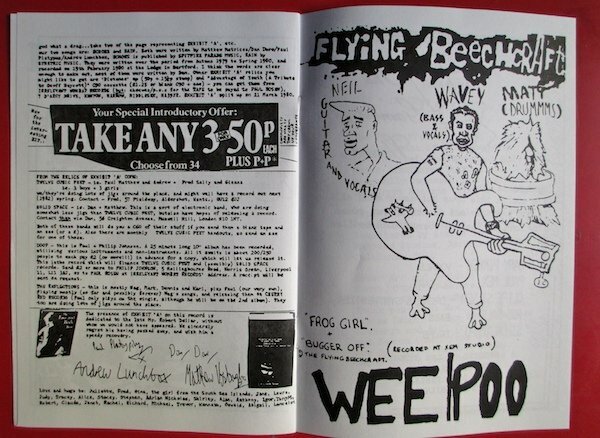 Each LP includes a copy of the 12 page booklet that came with the original pressing. 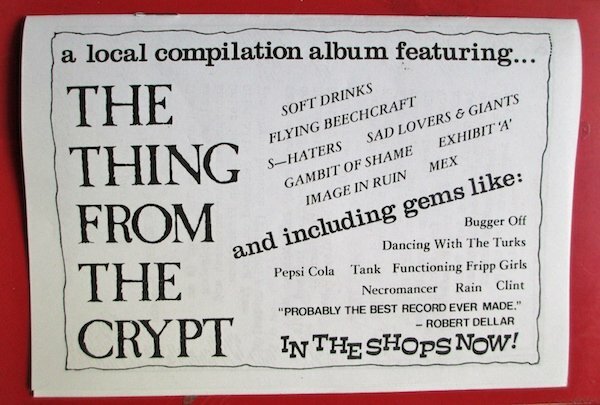 "The Thing From The Crypt" is more than a local compilation, its the stuff John Peel shows were made of.